A West Paris man is accused of firing several shots at police on Wednesday afternoon before fleeing into the woods on a snowmobile and then snowshoes. 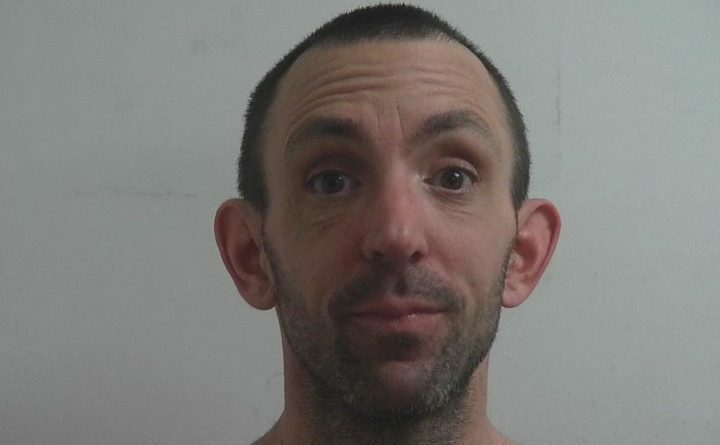 Neil Lanteigne, 43, was charged with two counts of possession of a firearm by a prohibited person and one count of criminal trespassing, according to NBC affiliate News Center Maine. More charges are likely. Oxford County sheriff’s deputies went to a West Paris home about 2:46 p.m. to talk with Lanteigne about a warrant for criminal trespassing and criminal threatening with a firearm, the TV station reports. A four-hour standoff began when deputies tried to execute the warrant, and Lanteigne allegedly fired six shots at police before he fled the scene on a snowmobile and then snowshoes into the woods, according to News Center Maine. Lanteigne was armed with an “assault rifle” and handgun. The Maine State Police Tactical Team was called in to help apprehend Lanteigne. Officers didn’t fire shots at Lanteigne during the standoff or the chase, a sheriff’s deputy told the TV station. Police believe Lanteigne suffers from mental health issues and wanted to resolve the situation peacefully, according to News Center Maine. Lanteigne, a convicted felon, was later taken into custody.